The DreamStation-X for Adobe CC 2019 is the ultimate workstation for video editing, compositing, color grading and post production for 2019 and beyond. The Skylake-X architecture from Intel offers up to a 18 Core CPU, up to 128GB of RAM, and multiple PCI-e storage options, GPU options, making this the most powerful single CPU system available in 2019 for Premiere Pro. 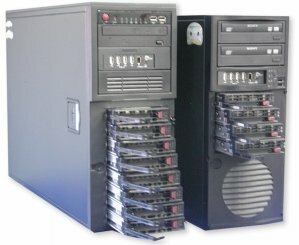 Scroll down and build your own video editing computer system and see your price in real time. Call us at 1-877-203-0871 x1 and we will walk you through your options to meet your needs and your workflow. Make your selections, and then purchase your system on our secure server. We will contact you within minutes before we finalize your order to insure you have everything you need and did not order something you don't need. Click on ADD TO CART on the right side of the lower banner to purchase. This DreamStation Extreme is based on Intel's latest 'Skylake-X' platform. This powerful system is based on the X299 chipset with support for latest Intel 9th generation 9XXX Core i7 and Core i9 models with support for up to 18 Cores. This updated X299 chipset supports the new nVME SSD drives that deliver speeds up to 3000MB per second read and writes, faster native memory speeds, and USB 3.1 Type C.
In this section you can choose your Intel Core i7 or Core i9 CPU. Our base CPU is the Core i7 7800X which features an 6 Core/12 Thread processor with a 3.6GHZ clock speed, 28 PCI-e lanes and a boost speed of 4.5GHZ. If you are not planning on adding a lot of internal devices, this CPU is a good option. Intel’s newly updated Core i9 series bumps up the PCIe- lanes to 44 allowing for RAID controllers, I/O devices, and high speed networks cards all in the same system. Our Core i9 CPUs offer the ultimate performance with maximum PCI-e expansion for 4K output cards RAID controllers, etc. We offer 3 different cases for your Adobe CC 2019 system. Our cases are made of high quality steel and they maximize airflow while at the same time being practically silent. 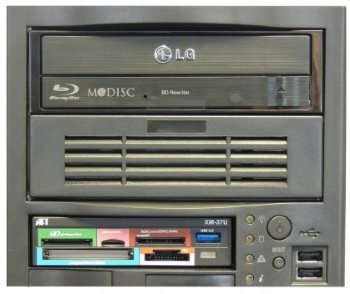 Each of our options include ‘front removable’ hard drives. This unique feature allows easy replacement of media storage drives and easy upgrading as your needs change without ever opening the case. Our first case has (4) Front accessible removable SATA bays, a 900W Platinum Rated High Efficiency power supply, and 2 additional bays for DVD/Blu-ray optical drives, SSD bays, USB hubs, and more. Our second case offers (8) Front accessible removable SATA bays and includes a 1200W Platinum Level High Efficiency power supply. Easily add up to 80TB of storage in the same system as a RAID-0 or 40TB as a protected RAID-10. Choose our third option for a rackmount configuration of the same (8) bay case with rack rails included. Our power supplies are all Platinum LEVEL 94% Efficient. This means that they output 94% of the power they take in. For this system, we offer a 16GB, 32GB, 64GB, and a 128GB option using the latest DDR4 standard. DDR4 offers much higher bandwidth at a lower voltage. The amount of RAM can impact your workflow. If you mainly work in SD/HD up to 1080P without a lot of filters or effects, then 16GB is a good starting point. The 32GB option is the sweet spot for 1080P sequences and helps with 4K. If you use Premiere or After Effects for multi-layer projects in 4K and above, then select the 64GB or 128GB option. 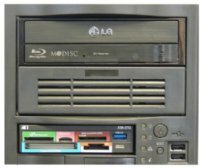 We include a Blu-ray recorder that supports BD-RE at 16x, DVD's at 24X and CD's at 48X.Alternatively, you can choose a standard DVD Recorder that also burns CD's. Windows 10 Pro includes built in burning functions. You may also choose not to have an optical drive at all. This is where you can choose an option for your secondary bay. Options include a (4) port USB hub, an additional optical drive, or nothing at all. In some cases, this bay may be unavailable depending on the number of storage options chosen. Our DreamStation workstations for Adobe CC 2019 support the latest NVIDIA GPU (Graphics Processing Unit) technology. Adobe CC 2019 now offers even more GPU accelerated effects including 'scaling on export', real time blurs, multi format real time playback in a single sequence, new color correction effects and much more. Our NVIDIA cards allow immediate playback of complex sequences in Premiere and After Effects without rendering when you add an effect or multiple filters (to a point of course), even if you have several different resolutions and codecs on the same timeline. The amount of RAM on a GPU is important for complex RAW 4K workflows. For a limited time, we are still able to offer the Geforce GTX 1070Ti, which offers proven performance at a reasonable price. The GeForce GTX 1060 is a great GPU for workflows that incorporate limited 4K and mostly HD 1080p without a lot of GPU effects. Please call us anytime at 1-877-203-0871 x205 if you have any questions about our GPU choices. In a RAID-0, we use 2 (or more) hard drives and combine them together so they appear as one drive letter (volume) in Windows. This is required for SD/HD/4K editing because a single hard drive is not fast enough. If you take the steps to make sure your important video and audio assets are backed up, then the standard (2) drive RAID-0 is perfectly fine. Hard drives are mechanical, and they can fail. Our systems have numerous external ports for easy connection to USB 3.0, optional Thunderbolt drive arrays. There are many options to keep your media online and available. In a RAID-10, we essentially mirror a RAID-0. This is all done in the background with no intervention from you. The UPSIDE to this solution is fast speed with data redundancy. If a hard drive fails in the RAID, all of your projects and media are safe. With our RAID-10 configuration, if a drive fails the system continues to operate without a hiccup, and there is no need to rebuild a RAID-10 array to access your projects and media stored on it. Once you replace the failed drive, the array will be protected again. The DOWNSIDE to this solution is that it is more expensive, and doubles the number of hard drives required to implement it. Your system is certified for use with the on-board Crystal Sound 3 HD audio. This powerful solution supports 192KHZ/24 bit audio, 120 db SNR for Stereo Out, 110db for line in, a built in headphone amp, and a true 8 channel SPDIF output. If you have selected a Black Magic device you can use the audio outputs and inputs for a wide range of professional audio connections for use with Adobe CC, AVID MC, Vegas Pro, and EDIUS. Our standard configuration comes with (1) wired GigabitLAN port for connection to any router or your Internet provider's modem. Select a wireless option if you would like fast Wi-Fi with the standard configuration or the combo Bluetooth/Wireless option. 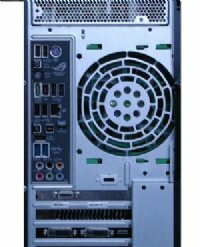 Choose the 1394 FireWire port for DV/HDV capture if need a 1394a FireWire port on your system. The Thunderbolt card adds (2) Thunderbolt V3 ports for use with Thunderbolt devices including drive arrays and the Black Magic Design I/O devices. Please note that the Black Magic Ultra Studio 4K requires a Thunderbolt card and your Thunderbolt device must be certified for use with Windows 10. Adapters are required for connection to Thunderbolt 2 devices. You can choose any or all of the additional software options below, and have them installed, configured, and tested free of charge. Video Editors sometimes need multiple solutions in one box, and we can provide that for your new system, free of installation charges. 4K or UHD monitors are starting to become widely available. However, most of the models priced at less than $600 have very poor refresh rates making them unsuitable for video editing. You may choose a 4K monitor for use as an interface display (or two), or use it as a preview display. After looking at the models available, we beleive the LG model we offer gives you the best color (nearly 100% Adobe sRGB) and at 4096 x 2160 (17:9). This monitor operates at the exact resolution of Digital Cinema 4K and support for 30bit color for over 1 billion colors. Power Protection is very important to keep your system and your video clips and other media healthy.Your most basic protection is the surge protector that we offer. If you live in an area where your power frequently goes out the 'UPS' is a must have accessory.